All of 2016's standout tech, to gift (or get for yourself). This year, I tried and tested dozens of new gadgets — from high-tech vaporizers to headphones to laptops — and what follows are my absolute favorite products of 2016. Whether you're looking for a last-minute stocking stuffer or hoping to splurge on yourself, there should be something in this guide for everyone on your list. I take a pack of these everywhere. You could try making a DIY screen cleaning spray, but getting a pack of these low lint wipes is easier. They remove oil, makeup, and germs from phones, keyboards, mice, and laptops — or any other surface that can harbor acne-causing bacteria. Sephora is offering a holiday gift set that includes three six-packs, plus a zipper pouch for $15 (typically $25). Get this for your friend who always runs out of battery. They will be *so* grateful. This year's portable battery pack from Anker is even smaller and lighter than previous models. It's slightly larger than a credit card (though thicker, obviously) and weighs just six ounces. The device can hold about three Galaxy S6 and four iPhone 6S charges. Those who need an ultra-high-capacity power bank should opt for the PowerCore 20000 ($42), which can hold up to seven iPhone 6S charges. This Bluetooth-enabled tracker is best for forgetful friends. 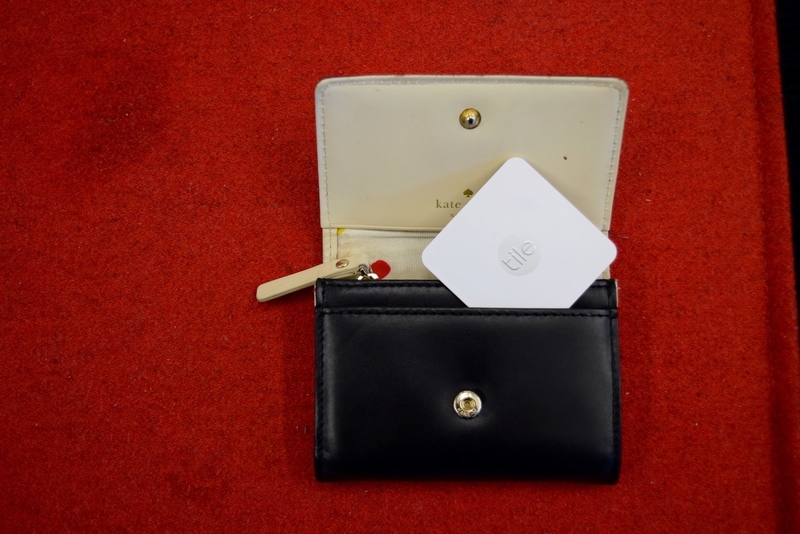 Tile Mate can easily attach to backpacks and purses, while Slim is flat and more fitting for wallets and passport cases. Through the Tile app, you can see the last known location of lost items or prompt the Tiles to ring. And if something attached to your Tile is ever lost or stolen, you can tap into the entire Tile community to track the item down. I've reviewed both the original Tile and Tile Slim. Both have easily become my favorite gadget to gift, because they're affordable and have become invaluable. 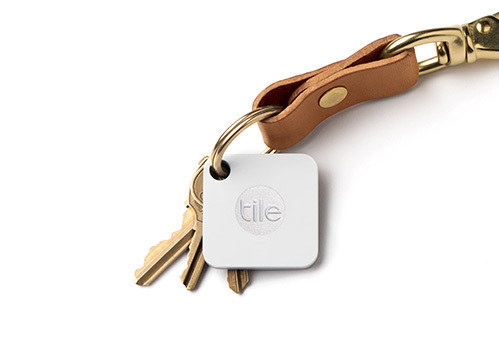 I can't tell you how many times Tile has helped me find my keys. However, you can recycle old Tiles and get new ones at discounted prices — I guess that means you can gift Tiles every holiday season. This nifty cable includes a Lightning and micro USB connector. It's also flat (to prevent tangles). If you're living a *multi-device life,* pack one of these instead of toting a small army of cords for your phone, Kindle, battery pack, camera, etc. Amazon's new speaker is now stupid cheap. The second-generation Echo Dot, which is powered by Amazon's artificial intelligence software, can control other smarthome devices, read you the news, tell you facts, or play your latest Discover Weekly playlist on Spotify. What I like about the Dot is that (unlike the larger Echo), you can hook up the Dot to your existing speaker system with an aux cable (if not, you can still rely on the small onboard speaker, but it isn't very good). Here are a bunch of things you can ask Alexa. The second-generation Fire TV Stick can still stream Netflix, Hulu, HBO Now, and Amazon Prime movies and TV shows, but it now includes a remote with Amazon's voice-controlled personal assistant Alexa built-in. The media streamer's internals got a little boost, too: There's a new quad-core processor (up from dual-core in the first model) and support for 802.11ac Wi-Fi, which has faster data-transfer speeds than the previous 802.11n standard. The most notable upgrade is the Stick's slick new software, which includes personalized recommendations. This internet-connected plug can transform any appliance into a "smart" device. 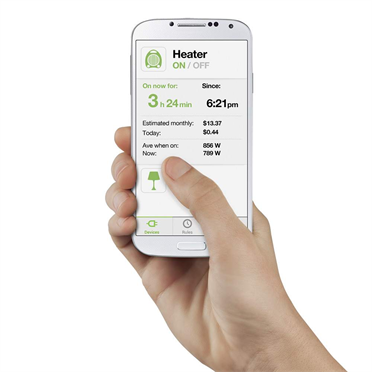 It works with the Wemo app, which can turn Wemo-connected electronics on or off, set schedules, and send notifications when, for example, your laundry is finished. While the switch itself isn't new, its updated compatibility with Amazon Echo, Nest Thermostats, and, most recently, Google Home makes the simple gadget even more useful than before. 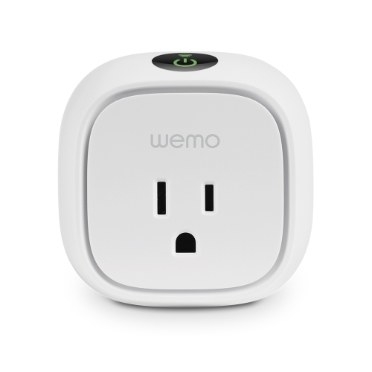 The Wemo switch is a great way to set up a smarthome without spending a fortune and a perfect gift for the person in your life who always forgets to turn their hair straightener off. This souped-up version of Google's popular Chromecast media streamer can display 4K resolution and has an ethernet port on the power adapter for streaming those high-quality videos over a wired connection. At $69, it's the most portable and affordable 4K streamer (versus Roku's $100 Premiere+ and Amazon's $89 Fire TV). The main difference is that the Chromecast Ultra's remote is an app on your phone, whereas its competitors have dedicated remotes. Most 4K TVs already have apps like Netflix and Hulu built-in. Chromecast Ultra is more fitting for those in small spaces who want to convert their 4K external monitor into a mini theater. Fitbit's done a lot to improve its basic fitness tracker. 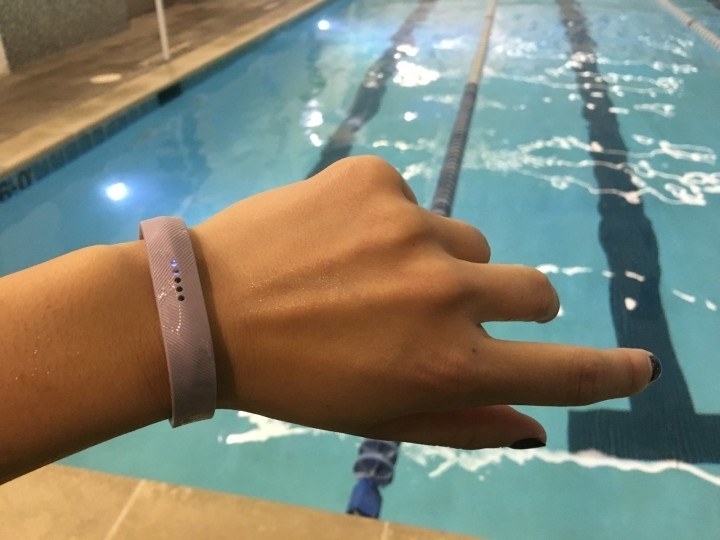 In addition to counting steps and auto-tracking workouts, the Flex 2 can calculate your laps and pace in the pool. The waterproof Flex 2 doesn't have a ton of bells and whistles (there's no screen or heart rate sensor), but it's the only Fitbit that's water-/shower-/ocean-proof with swim-tracking capabilities. It's not just a solid pick for swimmers, either — people who want a lightweight, fashion-forward motivational fitness tool will enjoy all of the stylish options available to them. 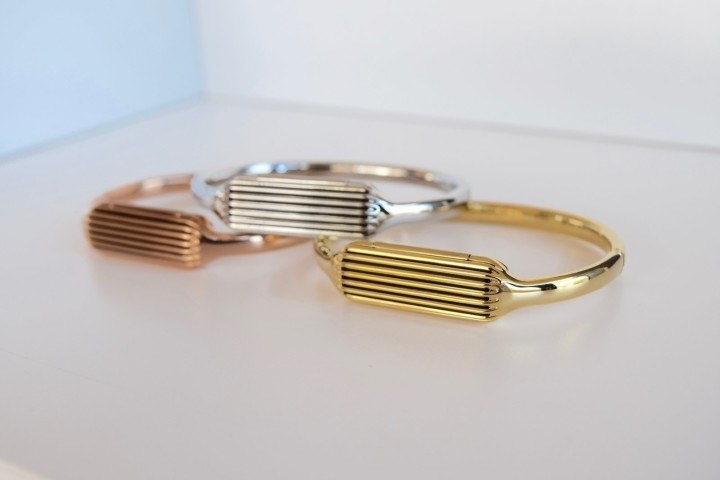 There are Flex 2–compatible bangles, necklaces, as well as three designer collections. The screen on Amazon's updated e-reader now has the same resolution (300 pixels per inch) as the more expensive Kindle Voyage and Kindle Oasis. In addition to the display upgrade, it also now comes in white. A single charge, with 30 minutes of reading per day, can last up to 6 weeks. The second-generation UE Roll wireless speaker is 15% louder and has a longer wireless range of 100 feet, while maintaining its waterproofness in up to 1 meter for 30 minutes. Multiple UE Roll speakers can also be paired for even more immersive sound. My favorite feature is the Roll's elastic bungee cord that can be used to attach it to showers, bikes, and boats. There's even an included floatie that'll keep tunes flowing in the pool. And if your giftee doesn't need something super loud, the older UE Roll got a big price cut this year. It's as low as $54 for the black color on Amazon. Google's smart speaker with a personal assistant built-in, Google Home, is more attractive, has better voice recognition, and provides better multiroom music control (for those with Chromecast Audio) than its competitor, the Amazon Echo. The speaker is still lacking in other areas, namely app and smarthome gadget integrations, but Google Home is my personal choice because its more advanced AI gives you better information about things like recipes and traffic, and, because it can be tied to your Google account, it's more personalized. You can also read my full review. The Charge 2 heart rate monitor and activity tracker has two key updates for fitness junkies: a screen that's four times bigger than the previous model and interchangeable bands. The screen is significant because you can actually *see* info like pace and distance while you're running, making it easier to improve on a time or keep yourself honest. There's also a new "Interval Workout" mode, which benefits from the bigger display because it helps you keep track of move and rest intervals. The interchangeable bands are important because when the bands on previous Charge HR models became ripped or warped, the entire tracker had to be thrown out. Nothing compares to the sweat-proof Jaybird X3's for running or working out at the gym. They're light, have a great eight-hour battery life, a 100-foot Bluetooth range, and, above all, sound amazing. The buds automatically turn off when there's no Bluetooth signal for about five minutes, which is crucial to preserving battery life. The size of the buds have been reduced by 20%, which is good news for smaller ear canals. There are also six bud-tip sizes and three wingtip sizes included to ensure the perfect fit. My only gripe with these headphones is that a special dongle is required to charge them. This is *the* home security/pet/baby camera for the "non-techie" person. The app has a super simple interface and set up takes about a minute. The Circle streams 1080p video through its wide, 135-degree lens (even at night) to your mobile device. It also has two-way audio so you can hear the room and talk to through the camera. Most users will need to plug in the Circle to a power source at all times, but it's technically portable. The camera can power itself with its battery for a few hours, or, in a power-saving mode where it only turns on if it detects motion, it'll for 12 hours. You'll get notifications and alerts when activity is detected, and can download a 30-second timelapse recap of each day (see a snippet of our kitty "day brief" below). Best of all, unlike Nest Cam and Ring, the Circle will save 24 hours worth of encrypted video in the cloud for free, for life. You can also upgrade to a 14-day or 30-day option. There are, however, some drawbacks. You have to view the camera's footage from a mobile app (there's no website you can log into). And as with Nest Cam, Canary, and other "IP" security cameras, the Circle depends on a constant, active internet connection, since it stores footage on the cloud instead of locally. It can't record to an SD card if your Wi-Fi goes down. Throwing in a random wine gadget to keep you on your toes!!! The Coravin has a needle that goes down into the bottle's cork that creates a pathway for the wine and simultaneously inserts argon gas into the bottle. When you remove it, the cork reseals itself and it's as if the bottle has never been opened. I will note, however, that the bottle must have true, natural cork. It won't work on synthetic stuff found on less expensive wines. If you just want a glass or two and don't want to finish a whole bottle on your own, this product is amazing. Or if you want to treat yourself to ~fancy wine~ every once in a while, this is a great way to do it. Believe it or not — the One is the cheap version of this product. There's a $300 Model Two Coravin. But, based on the amount of wine this thing can save from going bad, it's completely worth it. You need to buy special argon gas capsules ($27 for three or $53 for six), and each capsule is good for about three wine bottles. My boyfriend bought the Model Two for his dad as a gift and was hooked. In my experience, the One is just as good as the Model Two, but doesn't look as nice. OK, I KNOW. $274 is an insane amount to spend on a vaporizer. But the Pax 3 is truly the best, most striking vape you can buy on the market right now. I've owned the Pax 2 and 3, and, after trying both, I can't imagine liking another vape better because of its discrete, hyperportable form factor. The Pax 2 and 3 also take the guesswork out of regulating temperature. An LED light tells you exactly when it's ready, and a simple click of the mouthpiece turns the device on and off. You can easily adjust the heat by clicking through five different colors, denoting different temps. The third-generation Pax also includes haptic feedback (a small vibration) to notify you when the oven is fully heated). There's also a bigger battery and a faster heat up time. The Pax 3 will also work with an upcoming app (starting Dec. 28), that can help you find the ideal heat setting for loose leaf or extract. One thing I will mention is that the Pax works best when cleaned frequently with the very small included pipe cleaners, which some may find to be a hassle. If you're looking for a gift for someone who vapes frequently, the Pax 3 is definitely worth it. If they just like to indulge occasionally, the Pax 2 is just as good and will save you $75. The Pax's biggest competitor, the Firefly 2 ($330) is also a good vape. It heats up much faster than the Pax (takes just a few seconds) and is better for a quick hit (vs. a longer session) – but I personally prefer the Pax 3's stealthy design. A few months ago, GoPro announced its latest flagship camera, the Hero5 Black. It has the same photo/video capabilities of its predecessor (12MP photos and 4K at 30 frames per second video) with a few new user-friendly upgrades. The camera now offers hands-free voice control and it's got video stabilization built-in for smoother video capture. It also has GPS built-in and is water-resistant without a protective case. This action camera is best for the thrill-seeking adventurer in your life who needs something that's rugged. I'd choose GoPro over competitors like the Garmin Virb Ultra 30 because of the wealth of accessories offered for GoPro devices. The Bluetooth version of Bose's new QuietComforts have insane battery life (20 hours), cushy earpads, are super lightweight, and have magical noise-canceling capabilities. They're the company's first wireless noise-canceling set, and even Bose haters will be surprised at how great they sound. These headphones are my top choice because they can be connected to two devices at the same time, which means that you can take a call from your iPhone, and then when it's over, you can go back to streaming Spotify tunes on your Mac without having to re-pair. And when you do have to pair another device, a switch on the right ear cup makes connecting another Bluetooth gadget easy. In my experience, the QC 35s have moved between devices seamlessly. Apple's new smartwatch surprised the heck out of me. I was pretty meh on the first Apple Watch, but have loved using Series 2. It's waterproof and has GPS, two killer features for athletes. There's also now tracking for swimming, even in open water. Other features have also been improved. The screen's brighter and "raise to wake" works more reliably. The updated software, called watchOS 3, is much easier to use. It has activity sharing for cheering on (or smack talking) friends, a "dock" of your favorite apps, and a meditation app called Breathe. One big drawback is that this watch is only for iOS users. Womp. You can also read my full review. After the no headphone jack brouhaha, I fully expected to hate using this audio jack-less phone. Apple, however, included a Lightning-to-headphone jack adapter in the box and, a few weeks later, I went all-in on wireless (see #19 for my favorite pair of wireless cans). Life without a headphone jack honestly isn't bad at all. The pros of the new iPhone (water resistance, improved haptic feedback, brighter display, the dual camera system on the 7 Plus) certainly outweigh the cons (having to carry around the aforementioned audio adapter). It's the iPhone a lot of iPhone users have been waiting for. There are so many great features built into this Nexus phone replacement. Pixel users get unlimited storage in Google Photos. There's also a fantastic camera that rivals the iPhone's, and Google Assistant, a new artificial intelligence bot that's smarter and more conversational than what Android users may know as "OK Google." Where the Pixel falls short is the phone's uninspired design. The lack of water resistance, which has become standard in flagship phones with similar price tags, like the iPhone 7 and Galaxy S7, may deter some as well. Ultimately, however, the Pixel's intuitive software and masterful integration with Android are what make it shine. The ultra-thin 2016 MacBook is for those who prioritize portability above all else. The laptop is only 13 millimeters thick and has been beefed up with a faster new processor and graphics card. In my testing, it's powerful enough for everyday Internet use and even some Photoshopping. This lightweight laptop is ideal for students and travelers — anyone who wants a computer that can easily slip into a purse or backpack. There were some sacrifices made for its size, including a flat, shallow keyboard that might take some getting used to and just one USB-C port as an input. If you work with a display, I recommend getting this $49 hub, which supports passthrough charging (many on Amazon don't). Rose gold is a new color introduced earlier this year. It's beautiful, but if space gray, silver, or gold is more your speed, I'd highly suggest getting a refurbished 2016 MacBook, which is $200 cheaper and still come with an official one-year warranty from Apple. Microsoft's versatile laptop–tablet hybrid now has twice the graphics processing power. It's the ultimate workhorse, with an SD card, stylus, and two USB ports included. The screen can be detached or swing back behind the keyboard, which automatically puts the device into touchscreen tablet mode. The Surface Pen has 1,024 levels of pressure sensitivity and an eraser on the other end, which makes drawing and taking notes with it feel natural. It's expensive as hell and a bit heavier than the original Surface Book, but the gaming-level performance, plus its sleek design, make this device a perfect fit for pros who need their laptop to do it all. If your giftee doesn't need quite this much power, consider the first-generation Surface Book ($1,649 and up). And if they need a Windows machine that's super lightweight, go for the Surface Pro 4 ($749 and up). Think I missed something? Leave your recommendation in the comments.